Tonight we are going to Phuc's and Huyen's house to celebrate Spencer's 9th Birthday! 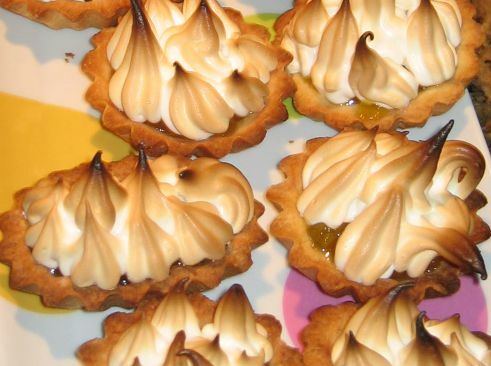 The theme tonight is Steak and Bordeaux so to stay with the theme I decided to make French pastries such as a Lemon-curd tart with Merigue, Classic Tarte aux pommes and les Canneles de Bordeaux, a specialty of Bordeaux. 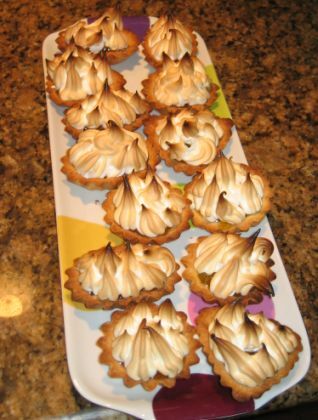 Let's start with the Lemon curd tart! 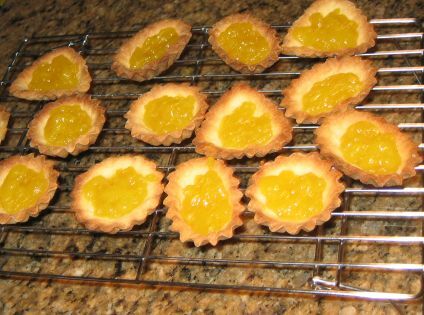 First I have to bake the crust made of Pâte Sucrée thenI filled it with Lemon curd. 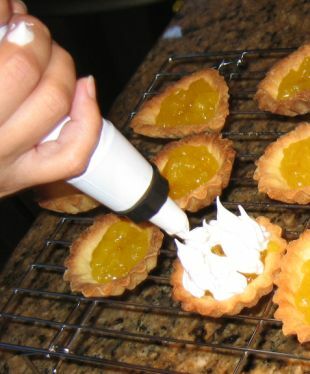 Lemon curd is basically a mixture of whole egg, egg yolk, sugar and lemon juice cooked in bain-marie until it thickens. 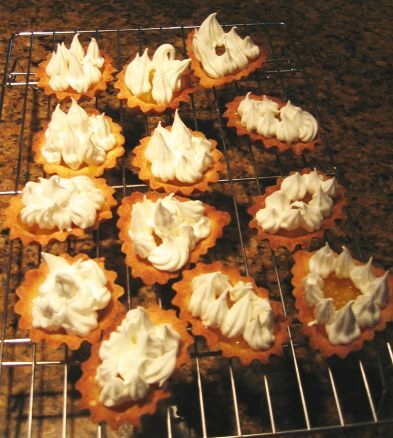 Meringue is made with egg white and sugar and then whipped until stiffen. for 5 minutes and Voila they are done and ready to eaten.